In 2014, Longwood set about considering its campus in all dimensions for the years and decades to come. What kinds of spaces would it need to fulfill its educational mission? 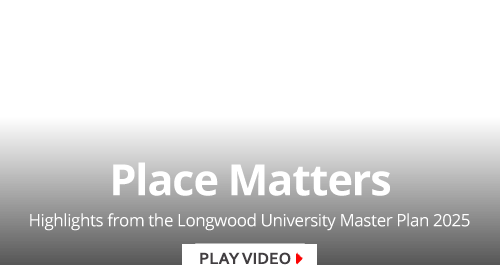 Far more broadly, what kind of place does Longwood aspire to be? How should it look, feel, function and inspire? 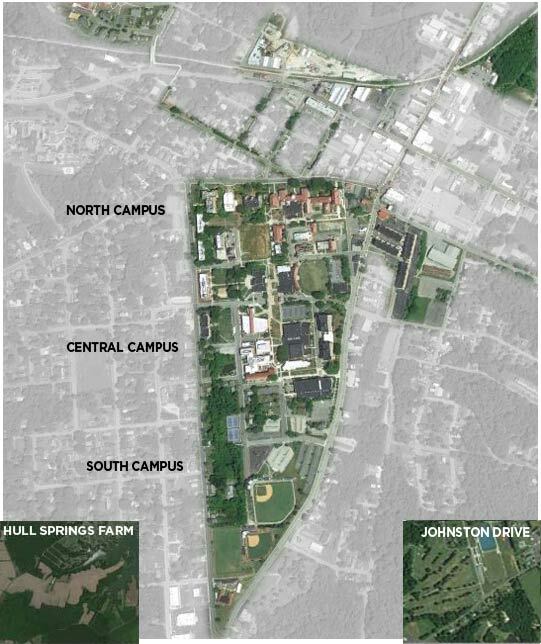 From the beginning, a handful of central ideas animated the process of the latest Campus Master Plan. The first was that, in an era of great technological change, in fact place matters more than ever in higher education. The most transformative college colleges are the ones whose physical space is central to the experience – full of places where people gather to teach and learn, to converse face-to-face, to listen and cheer. There are a finite number of campuses where the architecture and design are sufficiently powerful to play an instrumental role in that process. Longwood, by carefully building on the foundation of classical elegance that defines its central campus, is and can continue to be one of them. 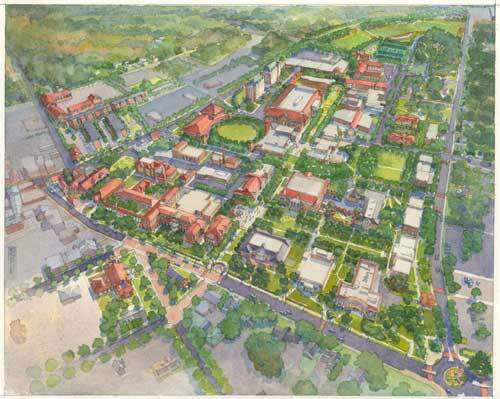 A second guiding principle has been strengthening the connection between campus and town. Longwood’s aspirations are tied inextricably to those of Farmville and its neighboring counties. The plan focuses intently on walkability, pedestrian safety and helping create and sustain a vibrant and prosperous downtown. This is an essential element of an even broader vision — the continued development of a safe and attractive campus community for professionals and families. Longwood is a cultural beacon of our region, providing the community with arts, music and performance events, as well as guest speakers and conferences and Division I intercollegiate athletics. We aspire to become a destination, increasing the frequency and improving the quality of such offerings. 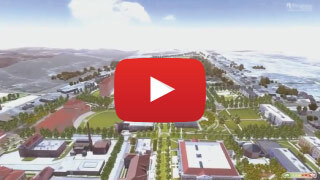 The Master Plan focuses intently on creating spaces that will give people more reasons to visit our town and campus, leaving impressed with its history, vitality and momentum. Throughout this process, Longwood worked closely with the distinguished New York-based planning and architectural firm Cooper Robertson, whose university clients have included institutions such as Yale and the University of Pennsylvania. Cooper Robertson has been a leader in developing and refining ideas for connecting campuses more closely to their surrounding communities through planning that emphasizes pedestrian and bike-friendly environments, economic development and healthy, vibrant neighborhoods. The planning process involved more than 80 meetings with constituents on campus and across the region, and regular consultation with local officials. The plan that has emerged embraces the classical elegance of Longwood’s central campus and reinforces – through architectural refinements, thoughtful use of space and improved landscaping – the sense of place that has commanded the affection of generations of Longwood alumni.